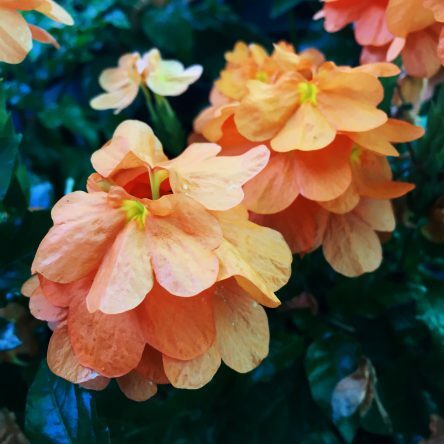 Glossy Green foliage supporting beautiful orange bloom clusters, make Crossandra a favorite. We can use them as a bedding plant, planter addition, indoor spark or fall display piece! 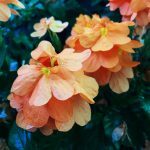 Don’t be fooled by their delicate blooms, they handle the heat all through summer, but as a blooming tropical we lose them in the Southern Winter. Heights can reach 2 feet, but normal yearly growth normally tops out around 16″. Plant 12″apart.